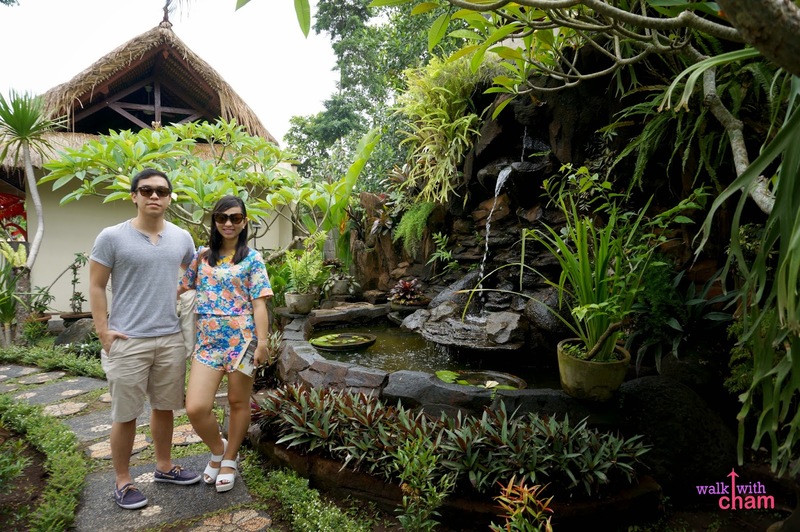 Our first day in Bali was spent walking around two temples- Besakih Temple and Tirta Empul. 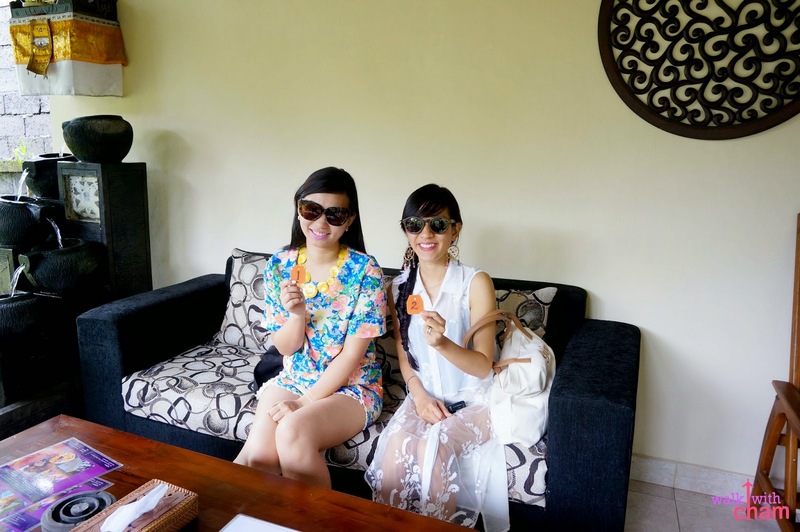 Being in Bali on a rainy season our first day was indeed gloomy and tiresome. So on our second day I hoped for a sunshiny weather. I'm glad it happened. And our very first agenda- visit the famous medicine man of Eat, Pray, Love, Ketut Liyer. Ketut Liyer is a medicine man/palm reader who became famous for his major role in Elizabeth Gilbert's life after divorce. Elizabeth Gilbert was the best-selling author of Eat, Pray, Love that became a major motion picture played by Julia Roberts. Having read the book I longed to see Ketut Liyer. More so when a friend of mine who visited Ketut told me that his predictions were quite accurate, at a time when the film was not yet released and Ketut had not asked for a fixed rate yet. After the movie was released Ketut then started asking for a fixed rate which was the said reason why a lot of visitors said that he had lost his magic [either that or he was too old already]. But what the heck! I really didn't care, I just wanted to see Ketut Liyer in person at least even before he dies. We went there via rented van first thing in the morning as to avoid the long queue, the driver had no difficulty finding it because Ketut is quite famous in Bali. Because we were early, my sister and I were the first ones who were there, we were given plastic cards with numbers 1 and 2 and were asked to wait at their receiving area. So while waiting for Ketut, who was having breakfast when we arrived, we roamed around the area and we were quite surprised with what we saw. 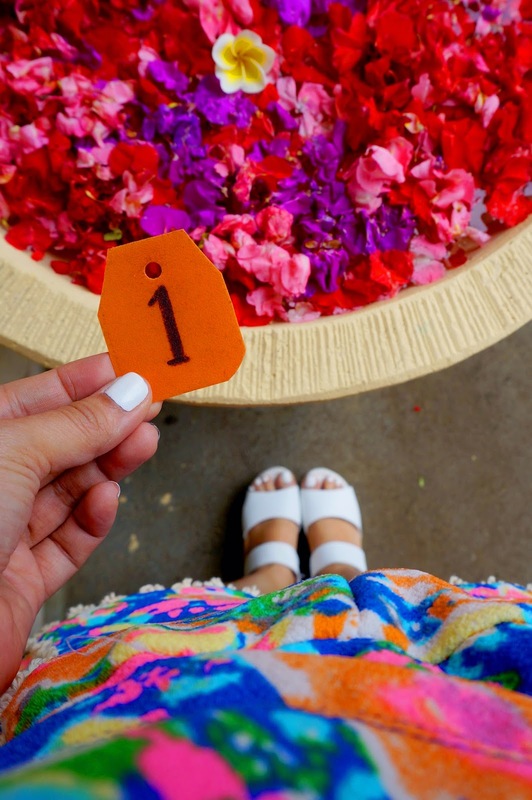 Ketut Liyer's place is not just for palm reading but is now a spa and hotel. How clever! Because Kuya, Mama and Papa had no plans of having their palms read they tried the massage and according to them it was quite good! 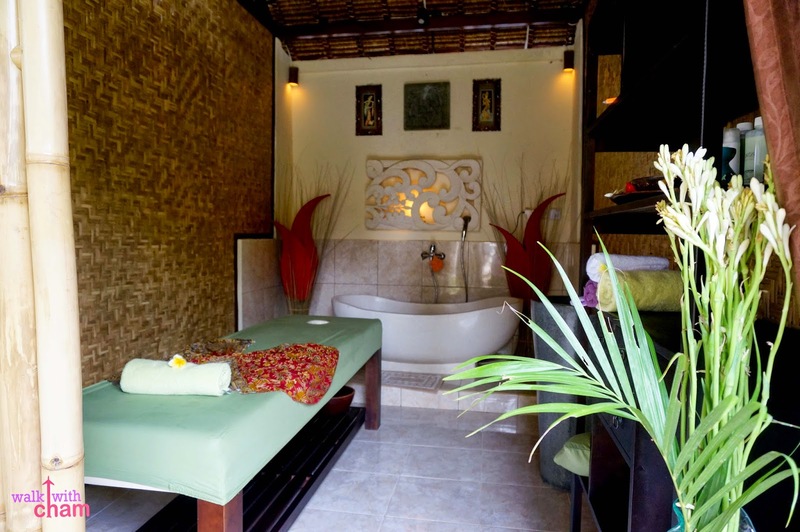 So while they were having their massage, the moment had arrived, the staff called my number and I began walking toward Ketut. It was an open area right outside his bedroom. Ketut was sitting on a banig and beside him was his son. Before the session started I was asked by his son to give a fee worth Rp 250,000 (P872). I knew about the fee even before I went there so it wasn't a shock. 'Your mole, like mine very blessed!' - Same mole! 'You will get married soon' - Ows? 'Your boyfriend, very handsome! '- So TRUE! When he was about to check my palm, he told me that he could no longer read it because he was very old- I like that he was honest, he was about 90 years old I guess. He then checked my back and uttered words I don't understand (I guess sometimes he forgets to speak in English) But he kept on telling me the same phrases. He also checked my knees but same story. Nothing really new. He sometimes joked about his age that he's old and that I wouldn't fall for him and kept on telling me to kiss him and then he would begin to remind himself that I had a boyfriend and my boyfriend might punch him if he did. Ketut had a sense of humor, he seemed fond with girl customers which is funny for his age. 'Lucky, pretty, blessed and influential' are the adjectives he kept on describing me or should I say all of his girl costumers. So just like that the 15 minute session ended. Of course I told him that I read the book and I am very happy that I was able to finally meet him. We wrapped up the session by having a photo op with him. 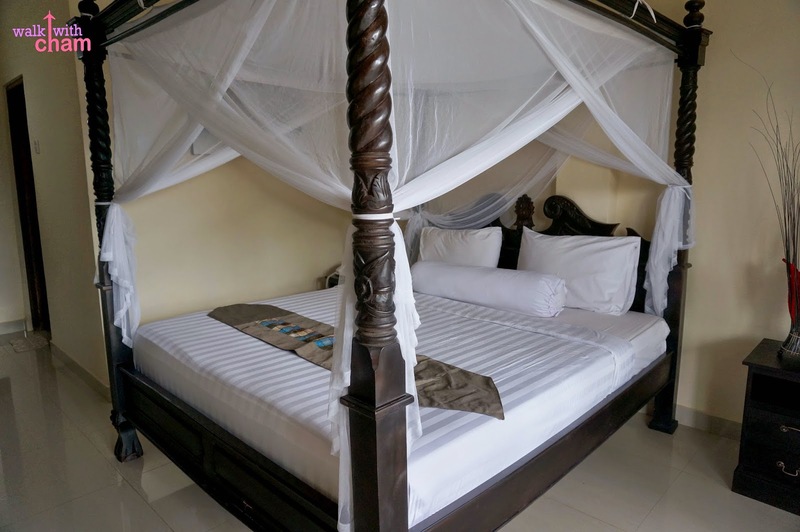 For the place, I would recommend to rent around Ubud area.